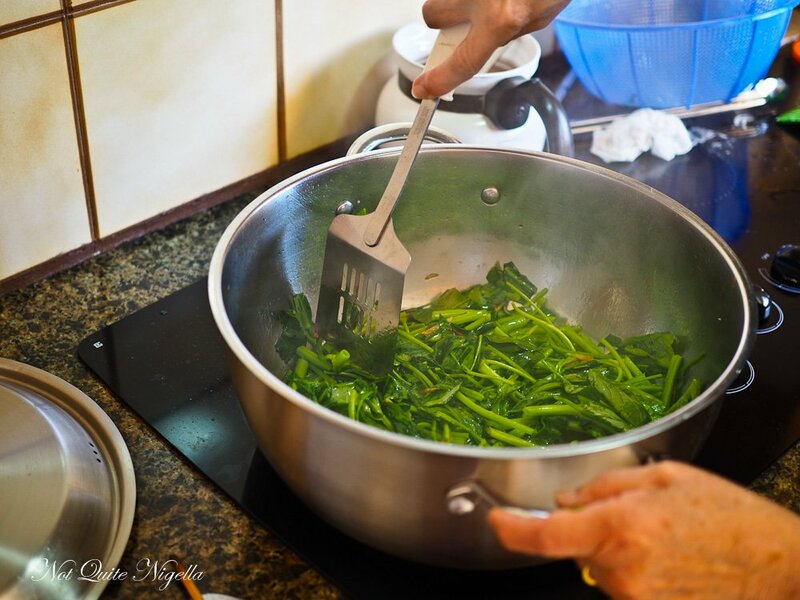 My Mother Shows You How To Cook 4 Chinese Vegetables! 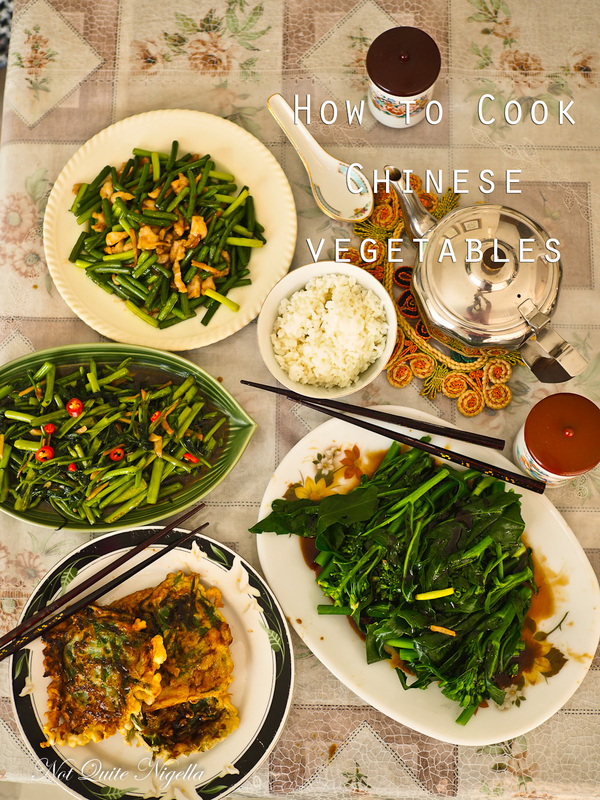 Have you seen Chinese vegetables at the markets but wondered the best way to cook them? 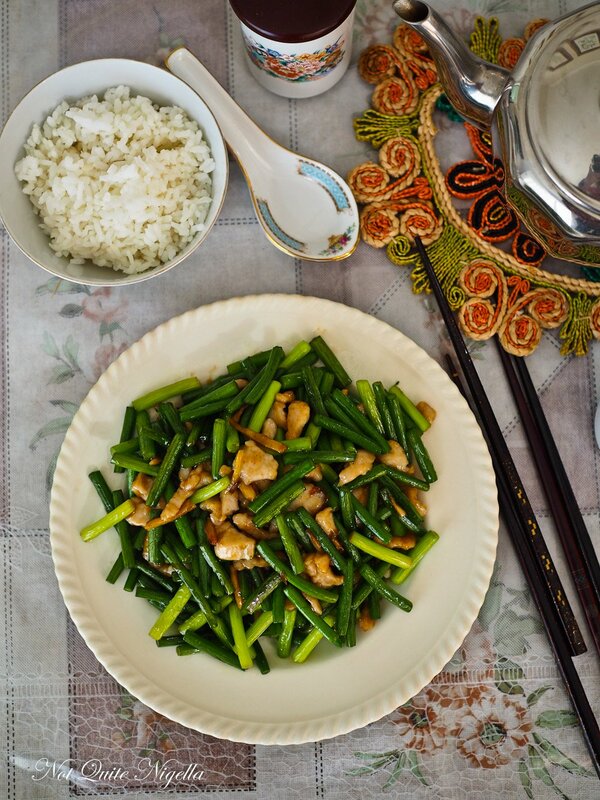 The rewards for these pay dividends-Chinese vegetables are very inexpensive, full of vitamins and fibre and cook up in about 5 minutes or so! 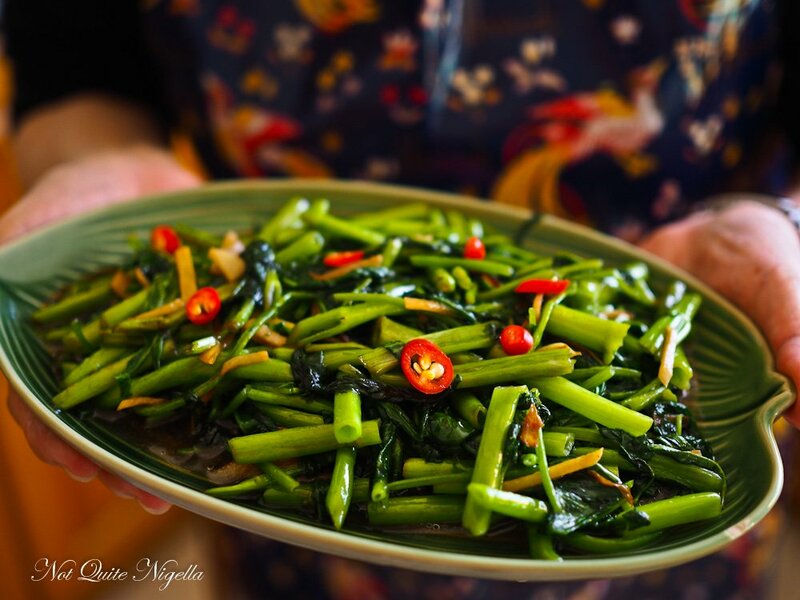 My mother shows you some of her favourite recipes for Gai Larn, Garlic Chives, Garlic Stalks and Kangkong! 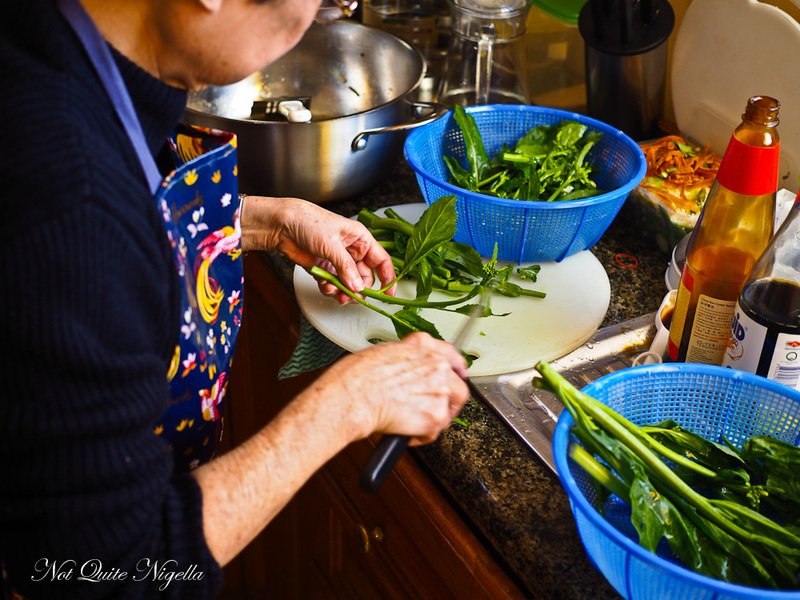 Gai Larn: You may probably know this as the dish that they offer at yum cha and push around in the trolley and you tend to order because you want to eat your vegetables alongside your dumpling feast but did you know that it is super simple to cook? 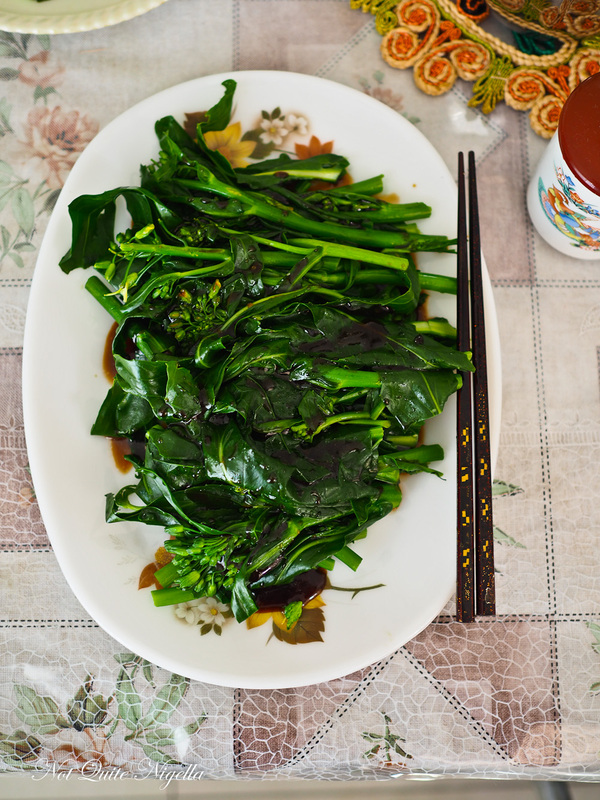 It's also known as Chinese broccoli or kale and is from the same vegetable family as both. And did you know broccolini is a hybrid of broccoli and gai larn? 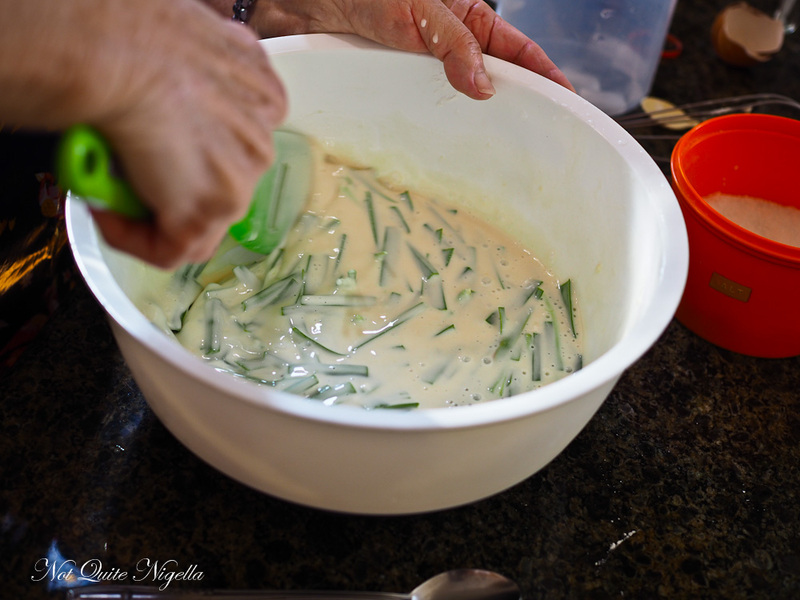 Garlic Chives: These floppy grass like strands originated from Siberia, Mongolia and Northern China but are cultivated worldwide for both ornamental and culinary purposes. 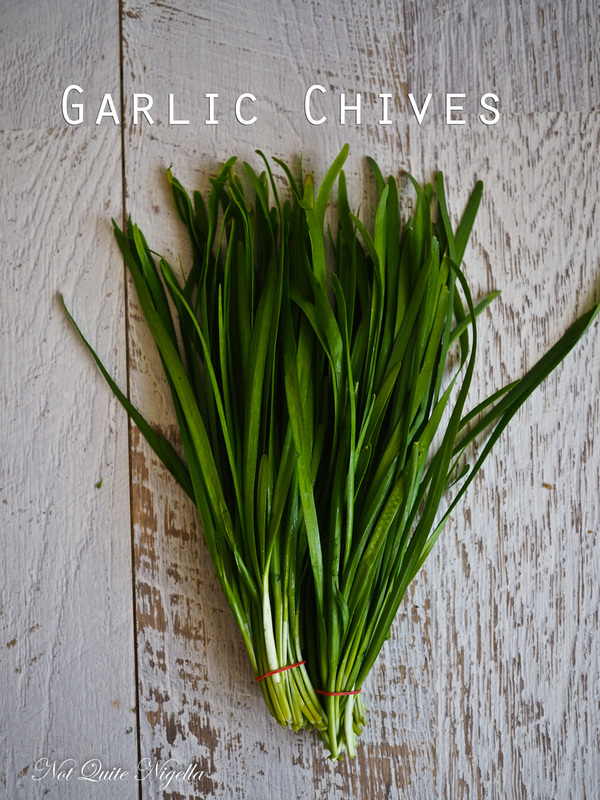 Garlic chives are very versatile and are used in soups, stews, dumplings, stir fries, noodles and in pancakes-basically anywhere shallots or garlic can be used. 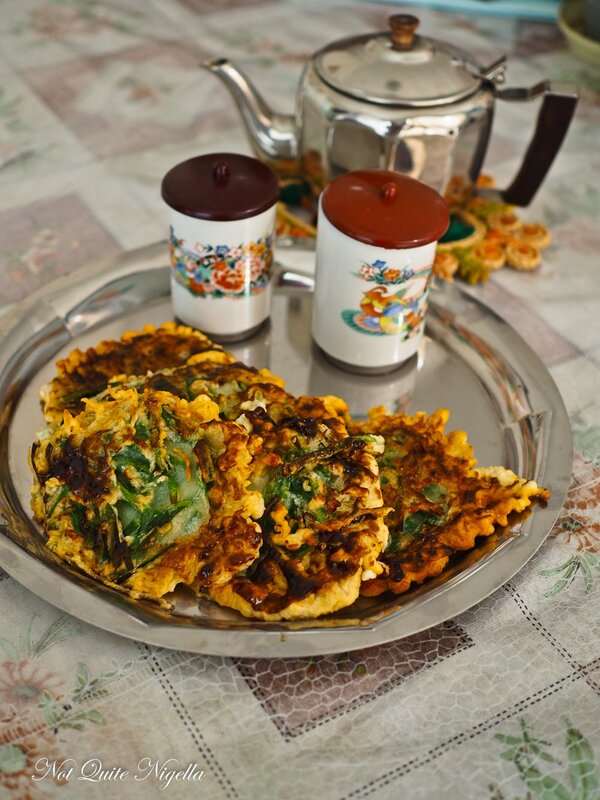 We're making an easy version of a Bing pancake. 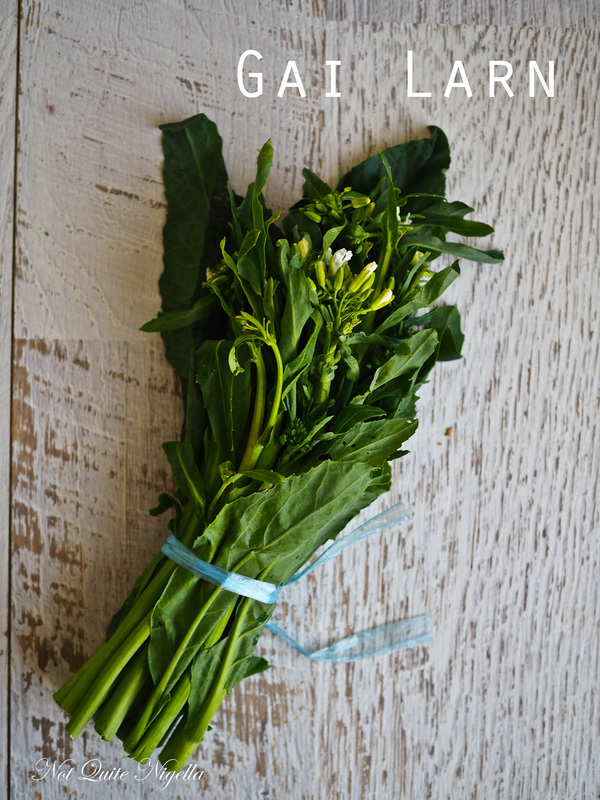 Kangkong: Also known as water spinach, kangkong looks like a bit of a tangle of leaves and stems but once cooked with a little seasoning it becomes the quickest, easiest and one of the most delicious greens you could make. 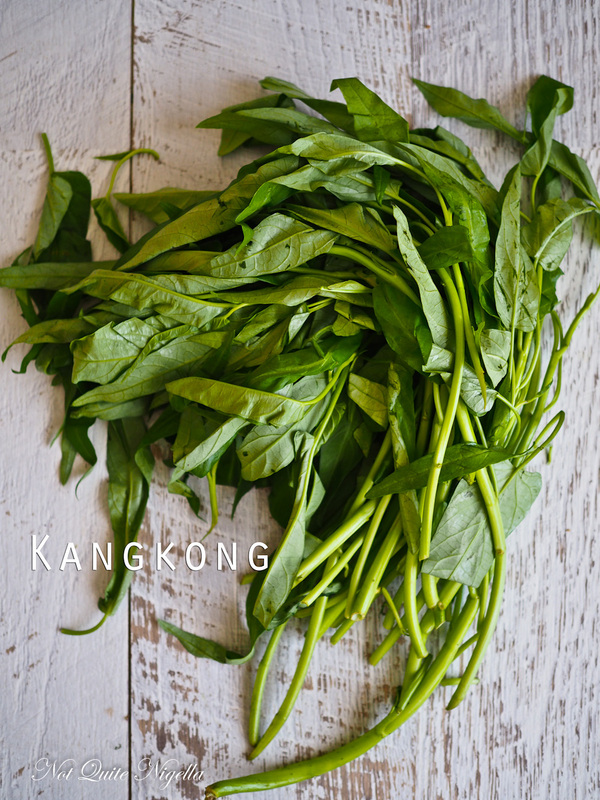 You'll see kangkong all through south east Asia. A big bunch cooks down to a serve that can feed two so I usually buy two or three bunches if I'm cooking for a crowd. Usually kangkong is cooked with belachan (shrimp paste cubes) but my mother used fish sauce because belachan can be strong and she also thinks more people have fish sauce in their pantry than shrimp paste. 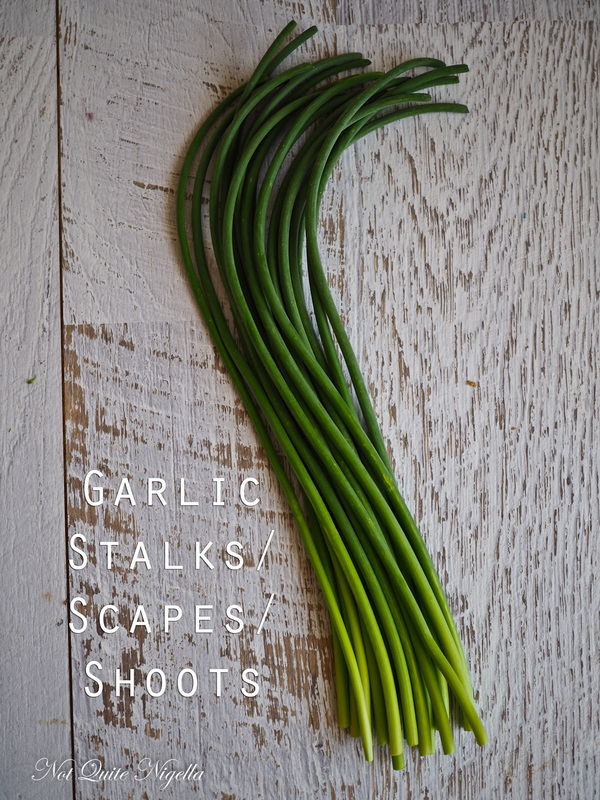 Garlic stalks or shoots or scapes: I've been cooking garlic stalks for years without knowing the actual name. They are about the easiest thing to stir fry. They also have a sweetness to them that is very appealing and pair really well texturally and taste wise with meat. So tell me Dear Reader, do you like Chinese greens? Which ones are your favourite? Have you cooked any of these before? How to cook Gai Larn Yum Cha style! Step 1 - Cut the very ends off the gai larn-if it's a thick stalk, take about an inch/2.5cms off. If it's a thin stalk then just 1cm will do. Then separate the leaves from the stalks cutting the stalks into 10cm/4inch pieces. Put a pot of water onto boil and then blanch the stalks-a minute or two will do depending on how thick they are. Place the stalks on a serving plate. Then blanch the leaves for about 10 seconds. Place on top of the stalks. Step 2 - Mix the oyster sauce with the sesame oil and white pepper. Drizzle on top of the vegetables and serve. Step 1 - Wash the garlic chives well and then dry with a teatowel. Cut the garlic chives into 1 inch/2.5cm pieces. Step 2 - Mix the two flours together and then add the egg and ice water and salt and mix with a fork until the lumps are gone. Mix in the garlic chives. Step 3 - Heat oil in a large frying pan. Add a ladleful of batter and cook until golden and then turn over. Brush with hoi sin sauce and serve while hot. Step 1 - Wash the kangkong and dry in a tea towel. Chop into pieces 5cm/2inches long. Add the oil to a wok and then stir fry the garlic and ginger until fragrant. 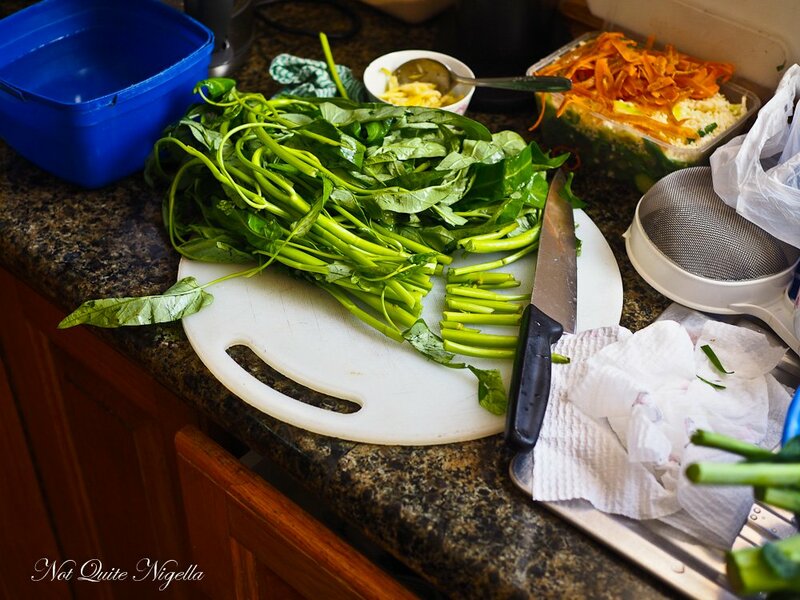 Add the kangkong and stir fry for a minute. Then season with oyster and fish sauce. Step 1 - Mix the sauce ingredients all together and have them ready for cooking. Mix the chicken and the cornflour together with the sugar and salt in the first list. 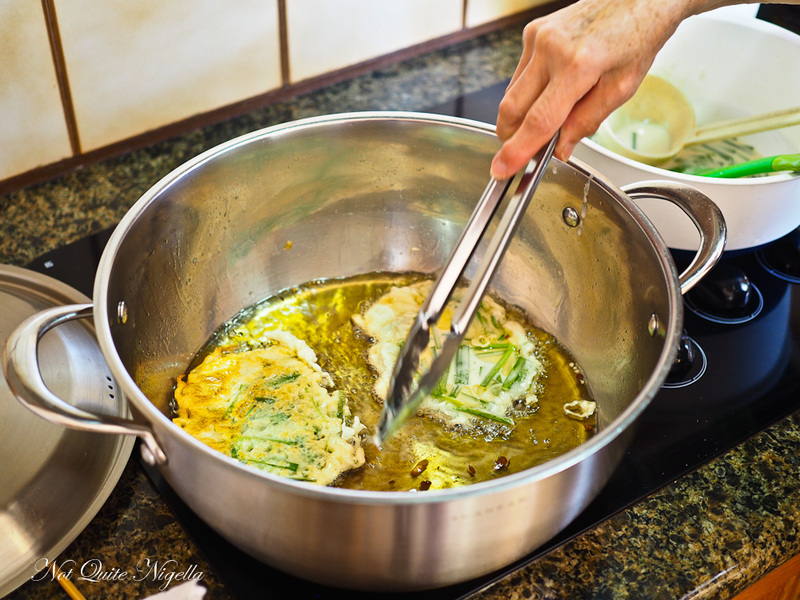 Add some oil to a frying pan or wok and fry the chicken until cooked through. Remove from pan and set aside. Step 2 - Fry the garlic and ginger until fragrant and then add the garlic stalks. Stir fry for a minute or so. Then add the sauce ingredients and cook through until the sauce is thickened and glossy. recipeSpicy Paper Bag Chilli Snapper! recipeMy Mother's Nasi Goreng Recipe!